I am responsible for a large team of engineers, managers, and architects. In my role, I am accountable for product development, delivery, and support for system software enabling the Server and Storage appliances of my company. My job requires me to inspire my team, develop product strategies, drive engineering execution, partner with other businesses, work with value chain, and interact with customers. I have more than 20 years of experience in the IT industry in various leadership roles. I hail from a small city in India called Mysore, that is famous for its cultural environment. As my core background has been in engineering and technology, once I moved to an executive role, I felt the need to reorient myself into wearing a broader business hat in the organization. I wanted not only to learn more about running a business but also to learn to “think” as a businessman. I realized a formal MBA would grow my business skills and provide me exposure to diverse business scenarios that otherwise I could not have conceptualized. JWMI’s curriculum has helped me transform from a technology professional to a business professional. 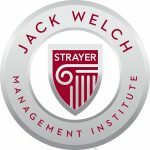 The JWMI curriculum is taught by seasoned business professionals; they had the knowledge and experience to help me learn how to run a business and deal with variability. More importantly, I discovered the role that leadership plays in creating winning teams. Winning is core to any business. Have you had any promotions or raises that you attribute to the program? Yes. 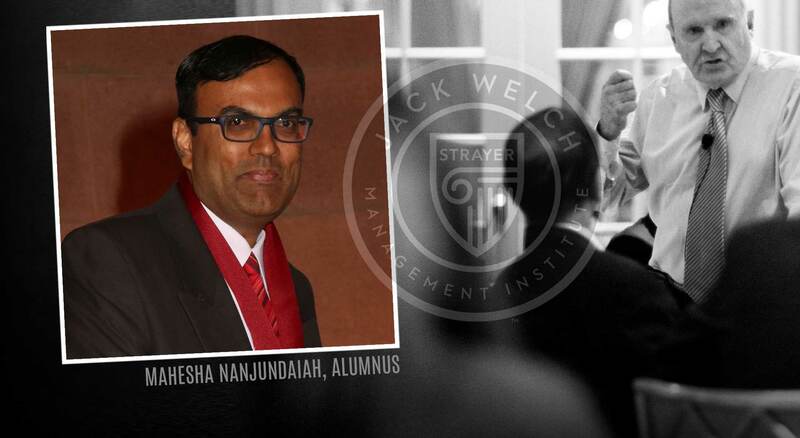 The JWMI MBA journey enhanced my leadership skills and added more to my professional skills repository. I became a more confident leader. These transformations in myself helped me accept more responsibilities at work, including promotions and other distinguished recognitions. Certainly. What I liked about the online MBA courses was the emphasis on applicability. The program doesn’t teach theory. Instead, it enabled other students and me to face the real business world with tools and skills. I was able to successfully employ the “learn it on Monday, apply it on Tuesday” approach as I progressed through the program. For example, what I learned in the strategy course was immediately applicable in my role as a Director for product development. I learned that leadership is all about teams. I learned how critical the “generosity gene” is in becoming a successful leader. The course also helped me discover my own blind spots in the decision-making process, leadership style, and communication. Through my self-evaluation, I was able to see the areas that prohibited me from growing into a senior executive role. Having graduated, I can confidently say that my self-confidence now has increased dramatically and I am well equipped for all executive-level roles. To be candid, initially, I was a little apprehensive about the effectiveness of online programs. Looking back now, I believe this was one of the best investments I made. The journey and learnings from it significantly exceeded my expectations. The weekly DQs provided critical thinking exercises. In addition, the DQ responses to fellow students provided me an opportunity to learn more about different industries, from retail to technology and real estate to healthcare; it was quite a unique experience. 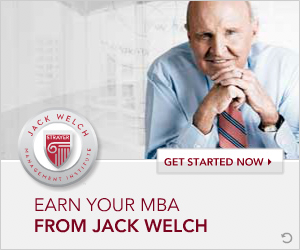 Jack Welch’s quarterly calls with the students where he answered our business questions were both humbling and informative. I would wake up at 3:00 am Indian Standard Time to attend the calls with Jack! 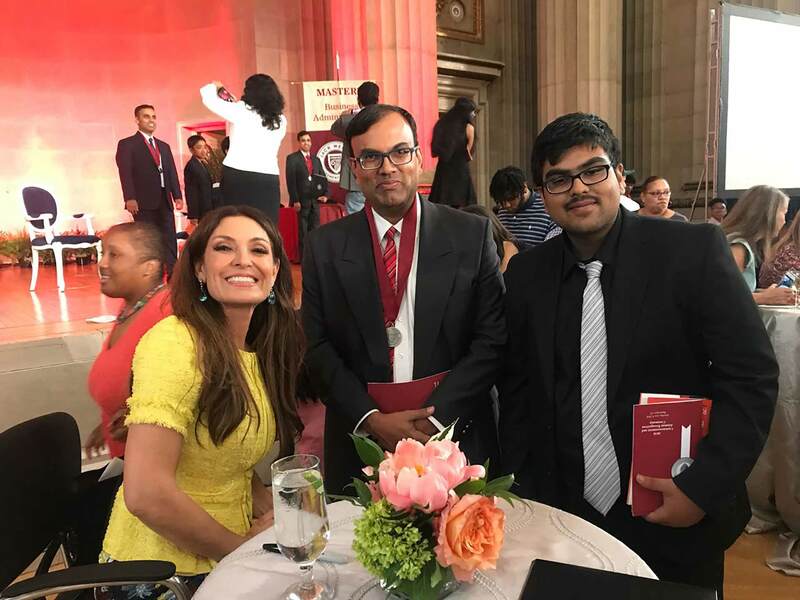 The most rewarding experience was the opportunity to interact with fellow students and faculty which broadened my expertise and allowed me to develop lasting networks. In addition, professors pushed students to deepen their thinking, and I found the challenge very rewarding. With a demanding day job, it was obviously challenging to juggle my family, day-to-day obligations, and MBA responsibilities. What helped me the most was my burning desire to complete the MBA. I dedicated 2 hours every day to my coursework and additional hours on the weekend. My family was also very supportive, and I shared much of my MBA experience and learnings with them. The most significant advantage of the online MBA is that you can study and work on it from anywhere at any time. I took advantage of long flights and delays at the airports to complete my assignments. I really loved the journey! Utilize all the tools JWMI provides you, that includes your professors, classmates and support staff. Make sure to attend Jack’s quarterly meetings, even if it is at an unearthly hour for you. Those sessions are very inspiring. Last but not least, commit to finishing the program. There will be times in the middle when you feel like giving up. But don’t! 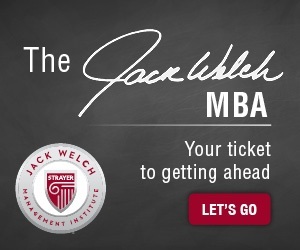 The JWMI MBA is worth every sacrifice you may need to make. Good luck!